Discover the relaxing power of drawing with Zentangle! Although the result of your artwork looks very beautiful and complex, Zentangle is all about the drawing process. The relaxing mood while you are fully focused on what you are doing, creating your own amazing piece of art. You don’t know when you start how you Tangle will eventually look like, this makes Zentangle so unique as you will be surprised over and over by the result you have created! What makes Zentangle so special is the fact that you do set any goals for yourself and that there are no mistakes to be made, everything is good. Every line you draw is a contribution to your own artwork, chose the Sakura Pigma Micron as the ultimate writing instrument for Zentangle, a fine liner with permanent, dark black ink, each line you make is permanent. 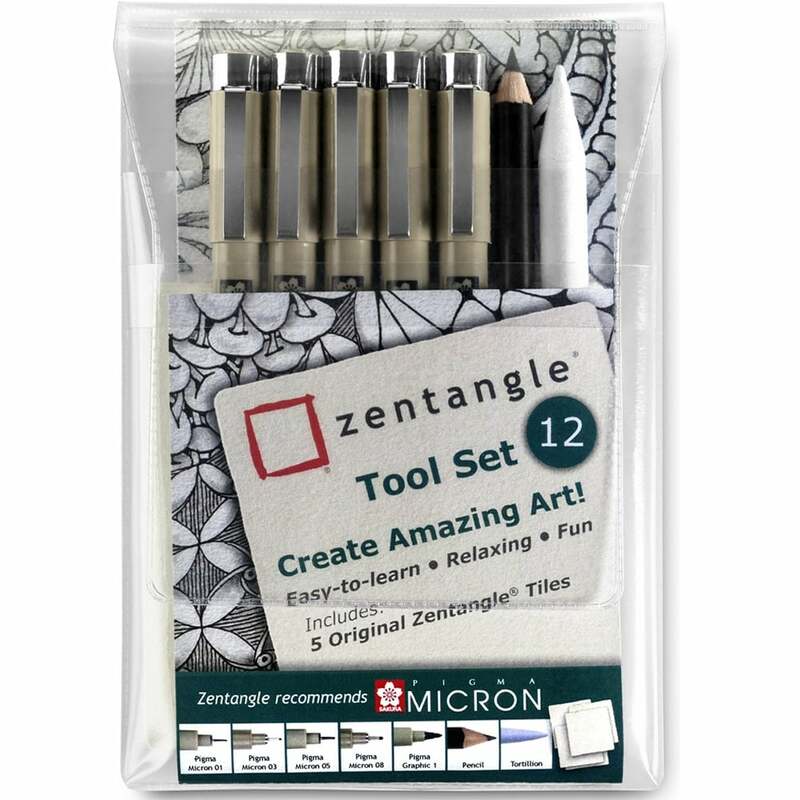 Zentangle tool set 12 pieces: black pigma micron 01,03.05,08,01 - pencil, tortillion and 5 Zentangle tiles. Perfect for your Bullet Journal.